Don’t listen to me, please. Do you hear that? Oh, gaaah! Oh well then, just Click to listen! 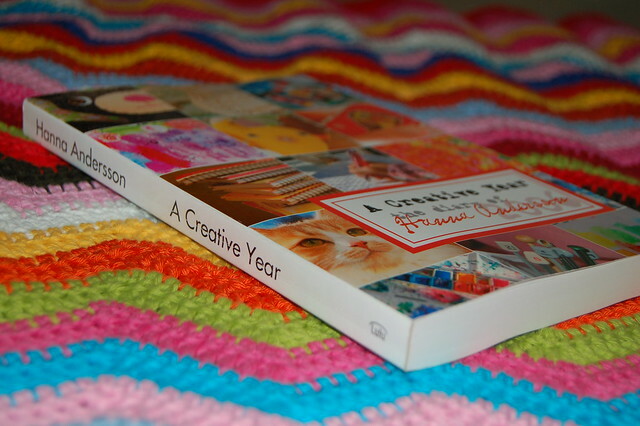 This entry was posted in A Creative Life, Inspiration and tagged a creative year, About Me, interview, podcast love. Bookmark the permalink. I listened to you about twelve times in the editing process, and enjoyed it every time! Nobody likes hearing their own voice on tape — including me. But if you give it another listen, I think you’ll hear yourself saying lots of lovely things. Hanna! This interview is wonderful. I truly enjoyed it. And how sweet to hear your speaking voice too. Again, congratulations on self-publishing your book and on this great interview. Keep going! Congratulations, it looks like a great book. Thanks for visiting. Well done! Really inspiring! You?re very good at expressing yourself not only in writing – but orally as well. Yay! Hi Hanna! I didn’t know about your awesome blog before your interview on Crafypod! You did great and were very brave! Good job with the interview too, Sister Diane! Hello my dear hanna, I have nominated you with the “Blog Roar Award” (please see my latest post). Also, I started a new blog titled “Glamour Girls”~I think you might like it, check it out when you get the chance. Wonderful interview! What a lovely accent you have – your book is on my Christmas-wish list. I just listened to the podcast (my first time listening to a podcast) and you sounded great! I really enjoyed hearing what you had to say about your blog and your book. And you’re accent is super cute. I really loved listening to your interview. You sounded lovely, clever, honest and cute. Your accent is so sweet. Congratulations on your book, what a great project.